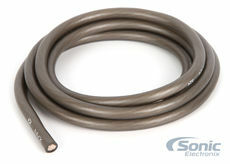 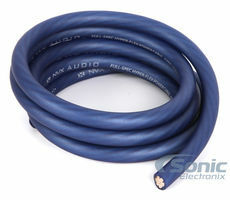 Interconnect (RCA) Signal Cables, Power/Ground Wire and Speaker Wire can be found in here in a variety of sizes, colors and lengths. 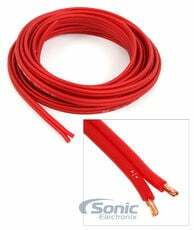 Cables are some of the most important components in a car audio system because they ensure that a sufficient amount of power gets to the amp, the proper signal is transferred, and that the overall system can function properly. 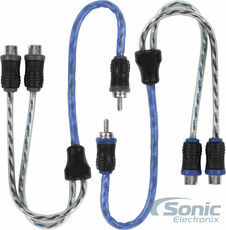 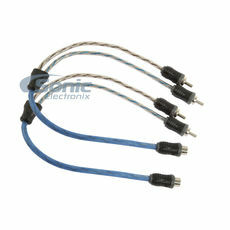 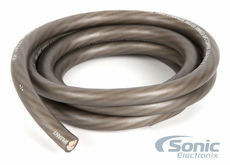 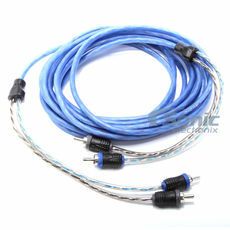 Car audio/video wires can make or break a car audio system. 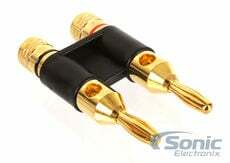 Just as with any stereo, speaker wires and audio connectors are often the weakest link in a system, and thus the easiest component to upgrade to improve sound quality by ensuring that the right power amperage reaches the speakers from the amps and the best signal quality is preserved throughout. 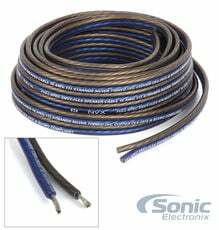 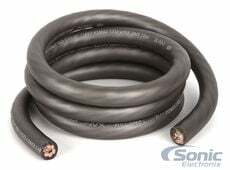 You will find a wide selection of car stereo speaker wires and other types of car audio wires at SonicElectronix, as well as video cables to keep your high-end system performing. 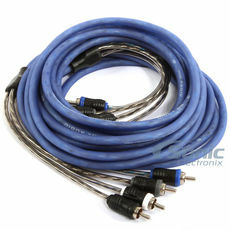 The variety of sizes, colors, and lengths available mean that our cables will fit your needs and even allow you to customize your setup’s appearance. 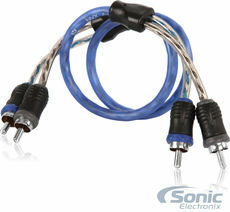 Our offering of car stereo ground cables and RCA cables means you can find the right gauge and color to power your amp and any other components that have special needs, protect them from damage, and create a cool looking system at the same time, as well as integrate any other hardware or media devices to your stereo head. 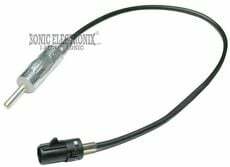 Whether that means a GPS navigator, some other audio component, or just an iPod dock, rest assured that your system will be prepared to take advantage of it and provide crystal clear audio for yourself and your passengers when you rely on car stereo wires from SonicElectronix. 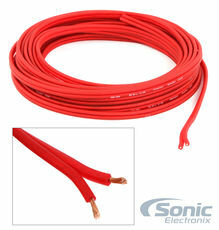 Our car audio wires, especially speaker wires and 9-conductor speed wire, allow you to build a strong foundation for your car stereo. 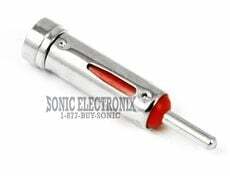 A variety of lengths, gauges, price-points, and brands means you will not find your desired hardware missing, nor have any difficulty stretching your dollar to get the best quality possible. 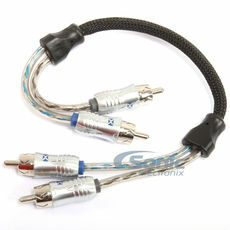 Add to that some of the best video interconnect cables in the industry, and even your most specialty car stereo needs will be easy to meet, while upholding the highest quality video signal, be it from a DVD player or some other type of visual media.